This information can make you feel better in more ways than one. I am finding it difficult to spread the word, however, because no one believes it can be true. But I am determined to share the story that has changed my life. Sorry, Guys–we are wise to your shenanigans and just won’t put up with it anymore! Please tell everybody–we don’t need a cure for the common cold, because it can be stopped before it starts. I have been doing this successfully for more than eight years and I believe you can too. How? 1. Stop the triggers–any first symptom that you might be getting a cold. 2. 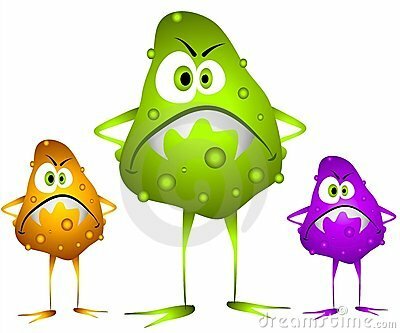 Don’t allow congestion to set in, because it is the host for cold-causing microbes. The first step is to gargle as soon as you get a sore throat. A mouthwash with about 14% alcohol can stop it quickly. You may agree with this but found, as I did, that the germs usually move into your nose, sinuses, ears or lungs anyway. At that point we might turn to the usual cough drops, cough syrups, medications or various home remedies. Then when all else fails, we treat the resulting complications with antibiotics. This is all wrong. Some people are successful at stopping colds and allergies with daily nasal irrigation. That is said to be effective, but I don’t find it to be an acceptable step to add to my daily routine. “The Nip-it Trick” is a phrase I have coined for an effective cold-prevention technique that can be used when you notice the first symptom of a cold, such as sneezing, coughing, nasal congestion or sinus drip. You can actually make the symptoms disappear before they develop into a cold or a lingering allergy. For full details on this simple and very inexpensive method for staying well, see How to Stop Colds, Allergies & More by Carole S. Ramke. This entry was posted in wellness and tagged colds, common cold, good news, health, microbes, Nip-it Trick, rhinitis, self-reliance, sneezing, sore throat on February 16, 2013 by Carole Ramke.